The Past: Standing on the High Line, a park built on the remains of a freight rail line. 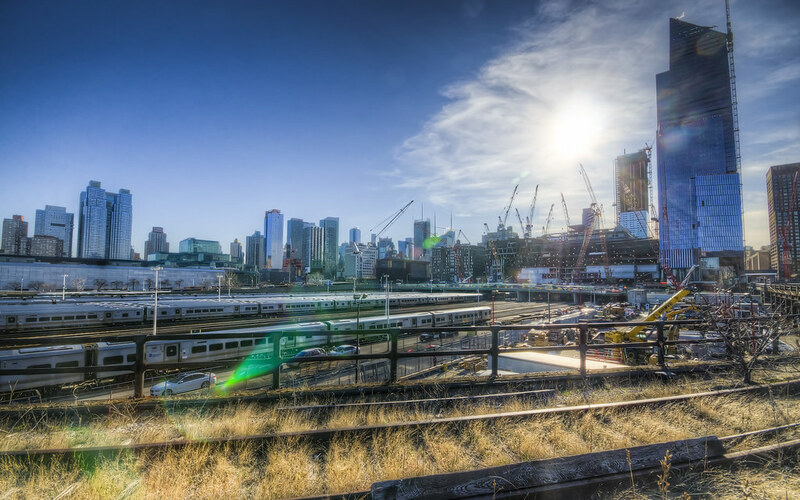 The Present: The subway rail yard. The Future: The Hudson Yards construction site. Visiting nearby Canada means looking at a mirror-version of the United States, reflected across the border. Like looking in a mirror, everything is still recognizable. Up is still up. Down is still down. But the brands and the metric units and the nationalism is different. 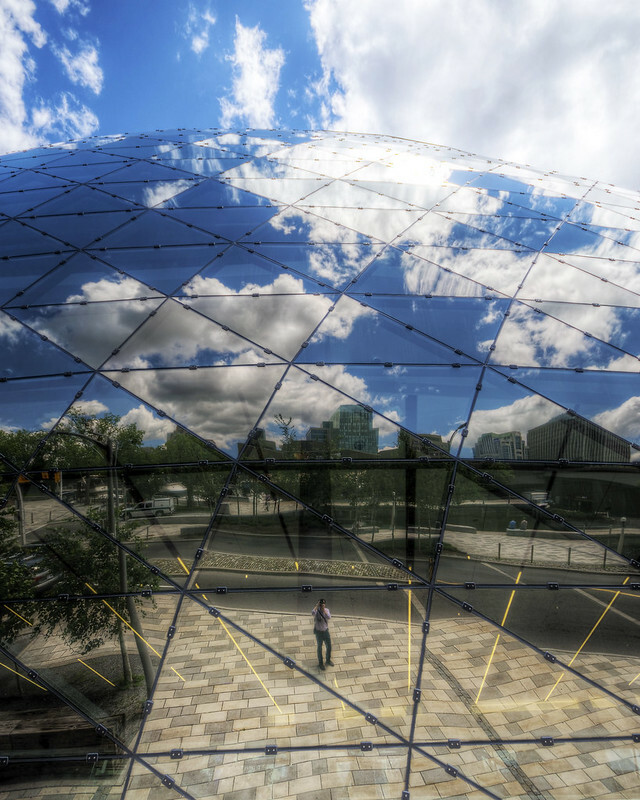 Does looking in the reflection of Ottawa in the Shaw Centre reverse the transformation? An added bonus: this is technically a self-portrait, with my tiny self down in the foreground. I’m not in the market for a hypercar (like the Bugatti Veyron below), nor a supercar, nor even really a car, at this particular moment. 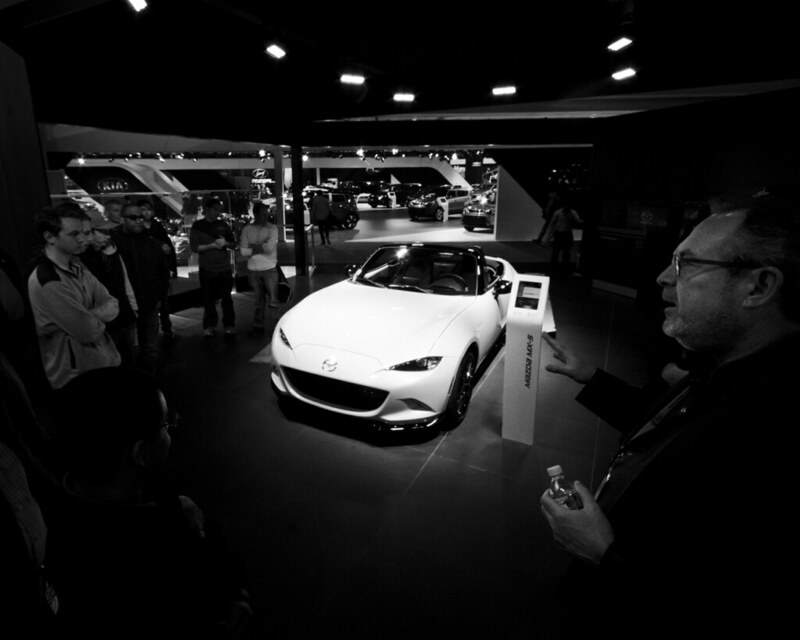 When friends and family heard that I had attended the New York International Auto Show last month, the response was often in the range of questions about what kind of car I planned to buy. I’m not planning on replacing the Mini just yet, I love the combination of graphic and industrial design on display at a show like this—not to mention the mix with civil and mechanical engineering. 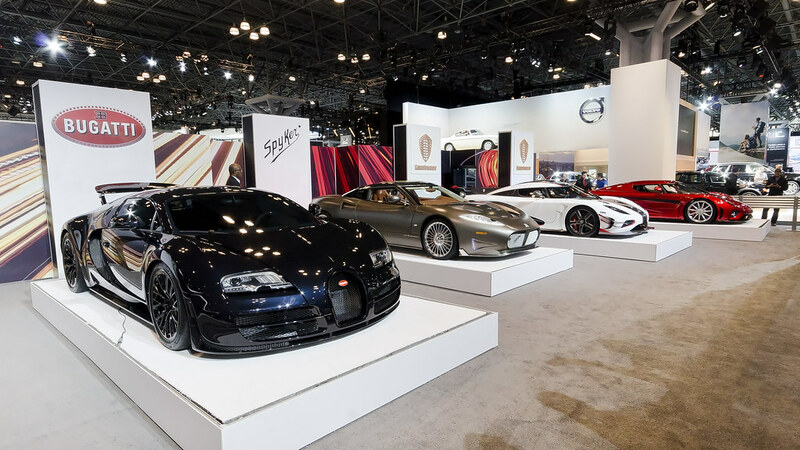 Cars have their costs and benefits, but it’s tough to wanter a place like the Javits Center and not feel a little bit of awe. 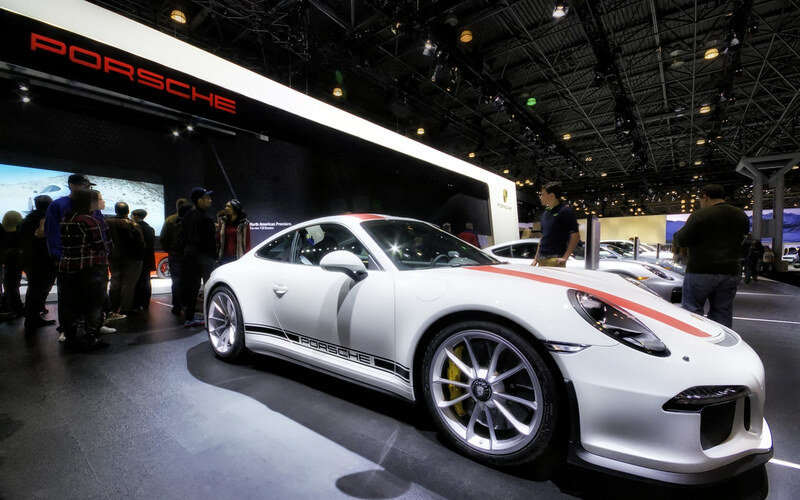 Porsche’s eternal and outwardly-unchanging 911 (like the R version here) is suprisingly subtle by the standards of similarly-performing vehicles, but it fit well into the classy setting of Porsche’s display: red and white matching perfectly. 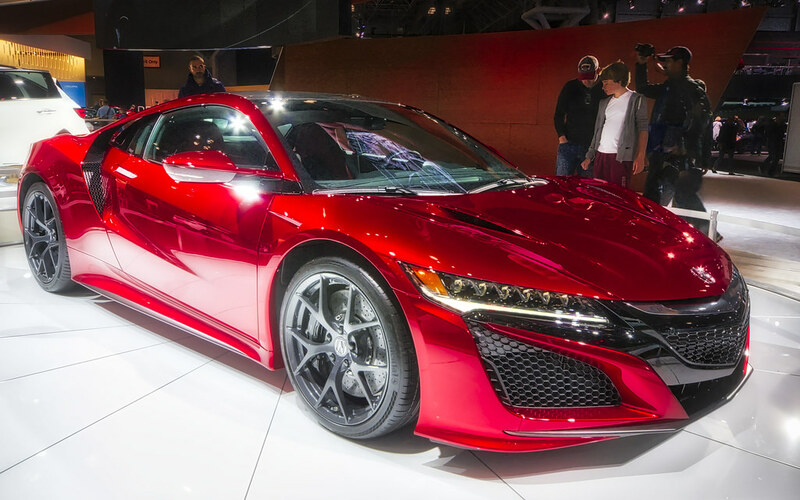 Acura’s new NSX is a monster (in performance, engineering, and cost), and joins a category of hybrid hypercars that transform the environmental technology into a performance booster. Sure, the numbers are impressive, but the design just has so many creases and parts. Overdesigned? Time zones are a source of confusion and consternation (seriously, they’re insane to deal with). Jet lag can be surprisingly disruptive. There are some temporal challenges to transcontinental (not to mention intercontinental) travel. But sometimes the time zones align and travel makes waking at dawn trivial. 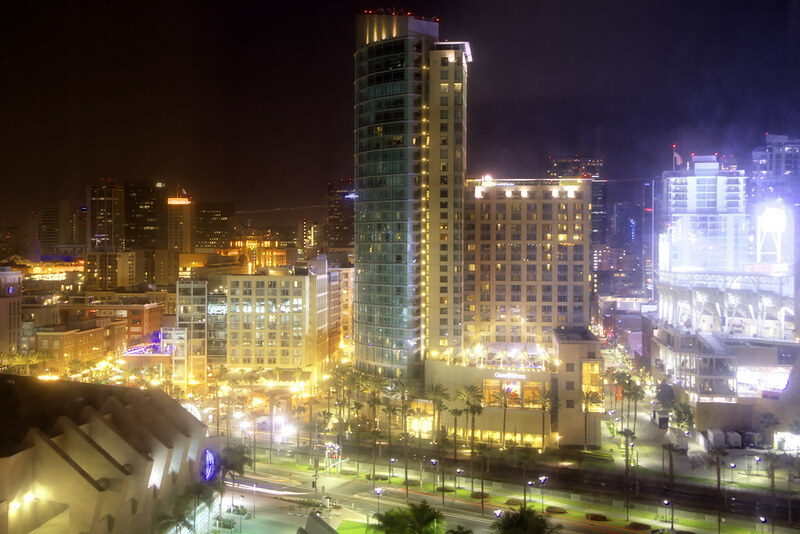 To get a view of the San Diego skyline with the perfect mix of lighting and color, and with minimal sleep deprivation, was a treat. Traveling back to California for the first time since I left in 2013, I realized I had forgotten the little but important differences: the streets are crowded with cars instead of trucks and the air is saturated with a different set of volatile organic compounds. 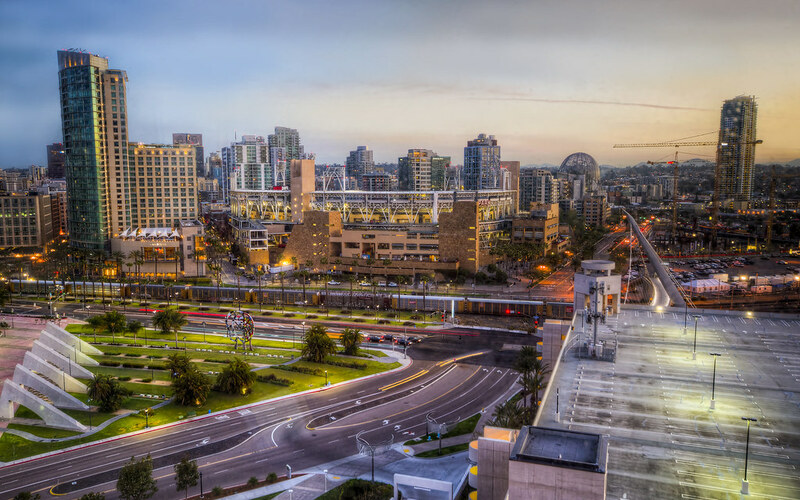 From another perspective and at another time, this photograph captures the same Omni hotel and Petco Park from one of my earliest Decaseconds posts, almost four years ago. How odd to be back again. 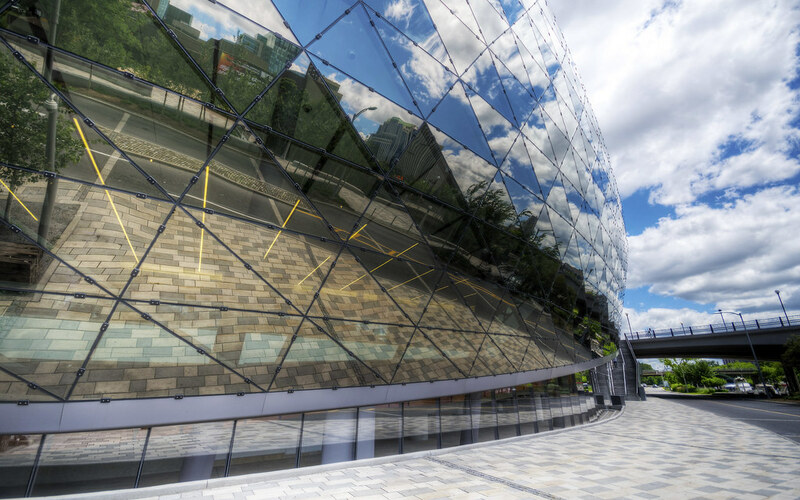 The Ottawa Convention Centre’s fantastical facade of fenestration is a lovely example of the way a pattern of triangles can be assembled to form all sorts of other surfaces with complicated geometries. From the standpoint of symmetry and group theory, it’s quite elegant; from the standpoint of a passer-by on the street, it seems a bit sinister.